The creative arts are an essential part of the primary school education. By using the activities in these books, you can reinforce number and letter recognition, strengthen fine-motor skills, and foster creativity and confidence. A craft is included for each read-aloud book in our Jr. Kindergarten, Kindergarten, First, and Second grade programs. While the crafts in these books have been carefully chosen to promote skill growth and coordination, the most important component is fun. Enjoy each of your creations and the time spent together making them! Book of Crafts, Jr. Kindergarten: This book is for the youngest crafters and is intended to be a supplement to our Junior Kindergarten curriculum. For easy reference, the crafts are separated into three categories: Literature Crafts, Letter Crafts, and Review Day Crafts. This book reinforces number and letter recognition, strengthens fine-motor skills, and fosters creativity and confidence. This book is included in our Complete Jr. Kindergarten Classical Core Curriculum. 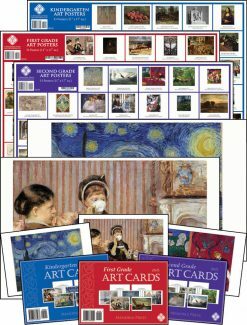 Book of Crafts, Kindergarten: This book has a craft project for each literature read-aloud in the Kindergarten program, as well as additional crafts that focus on concepts such as pointillism, still life, precisionism, etc. The crafts in this book have been carefully chosen to promote skill growth and coordination, but the most important component is fun. 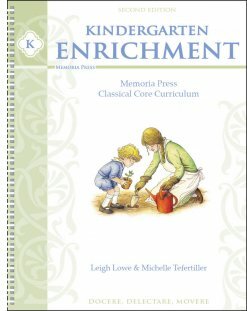 This book is included in our Complete Kindergarten Classical Core Curriculum. Book of Crafts, First Grade: This book has a simple and fun craft project for the literature read-aloud books in the First Grade program that help strengthen children’s understanding, as well as other crafts that help strengthen the art concepts learned in the Kindergarten book. This book is included in our Complete First Grade Classical Core Curriculum. 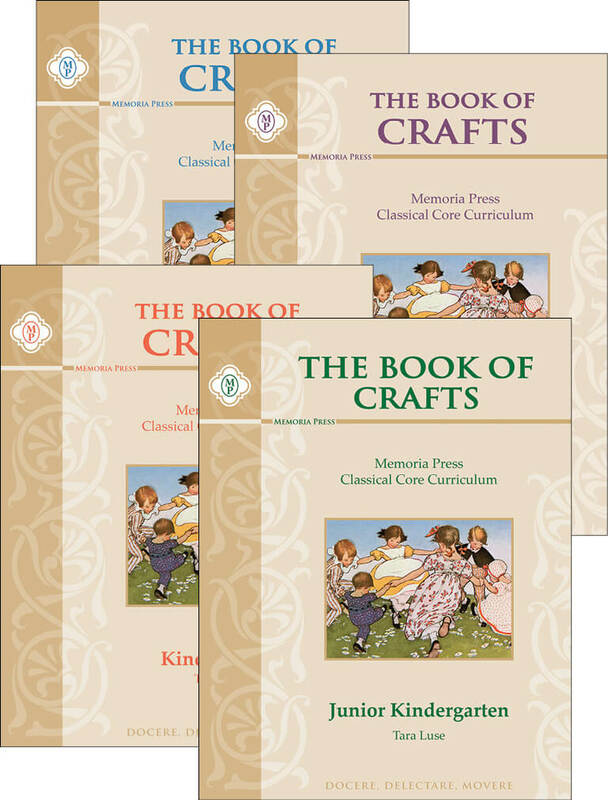 Book of Crafts, Second Grade: This book is a supplement to the Second Grade Curriculum and includes crafts for the read-aloud books for that program. This book is included in our Complete Second Grade Classical Core Curriculum.